Hayden Kenny shaped his first surfboard around 1959. This was done in the cow shed on his grandfather's farm near Maryborough, Queensland, Australia. 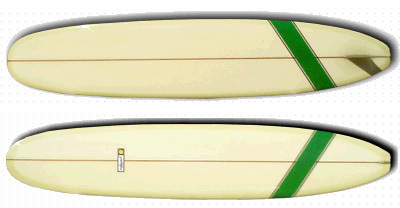 Forty years later, the Hayden Surfcraft Team launched a series of "Authentic Re–Issue 60's Models". These boards are a result of using modern technology and materials combined with many years experience at making surfboards in the traditional handcrafted manner.